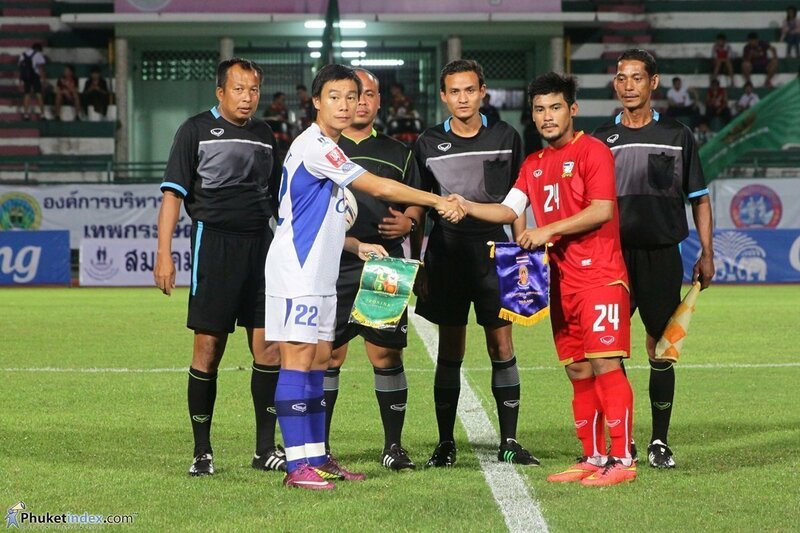 As part of their three pre-Asian Games warm-up games, Thailand’s National U23s Team took on Phuket FC on Wednesday night, 3rd September 2014. 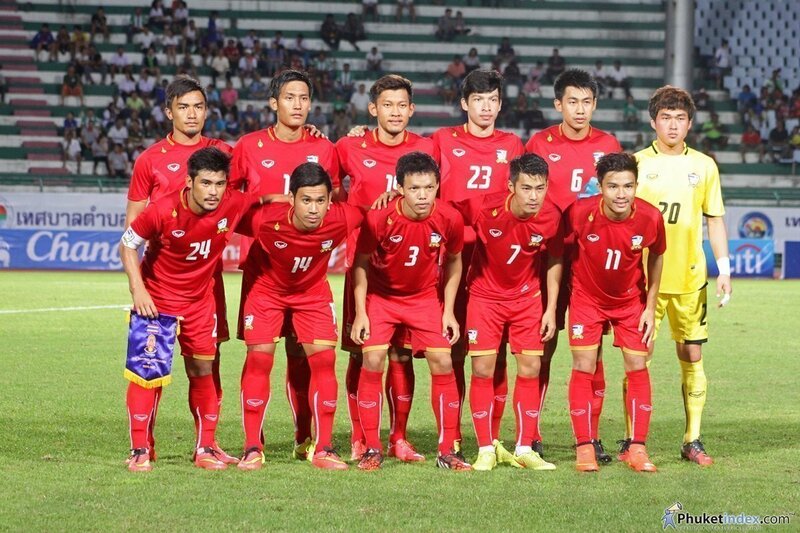 The game, the second of three warm-up games, saw a far lesser turnout of fans than on Sunday when Thailand took on Myanmar, but the Thailand team continued with their winning streak beating Phuket 3 – 1. 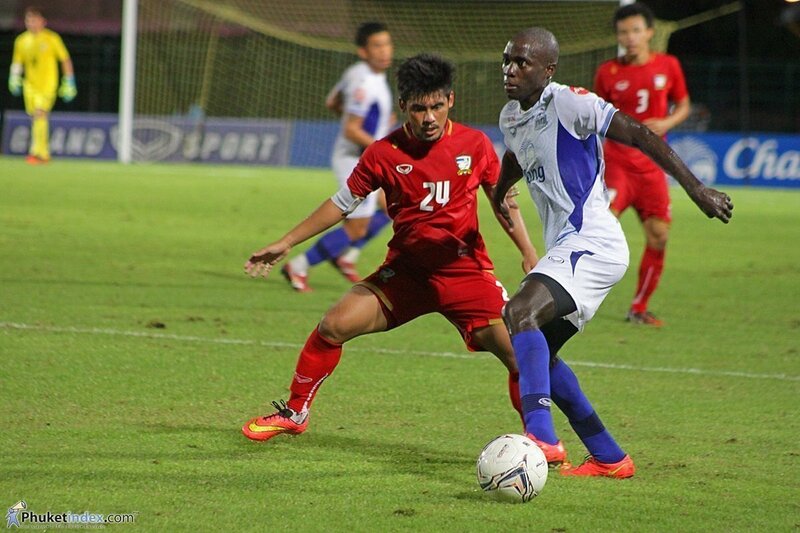 Chananan Pombupha and Sarach Yooyen got on the score sheet for Thailand, Christian Alex scored Phuket’s only goal. In the final game of the series, Thailand will take on Qatar on Sunday 7th September, once again at Surakul Stadium. Tickets are priced at 200THB. 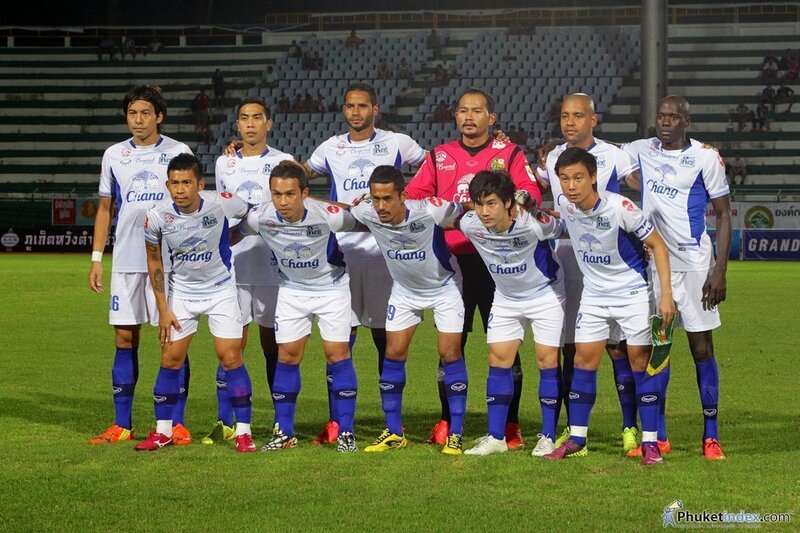 Phuket FC will also be playing at home on Saturday 6th September in their fifth from last game of the season. 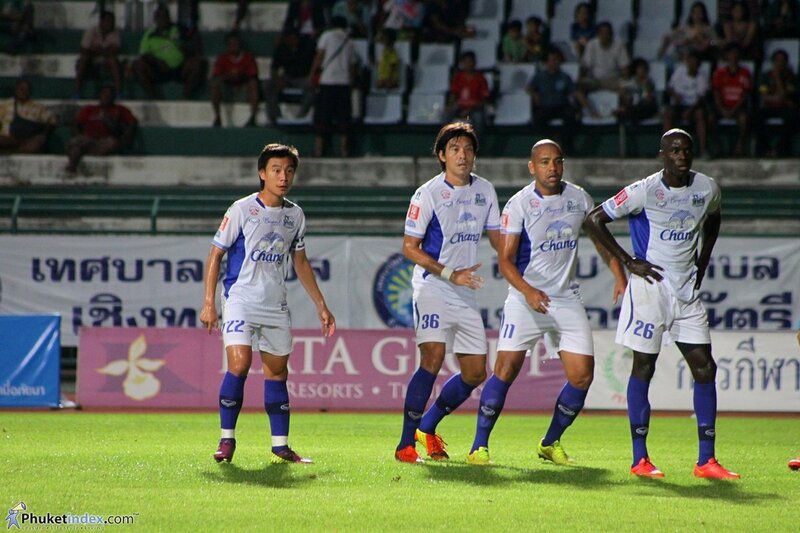 They will be taking on Trat FC who is currently positioned just above Phuket in the league table. This will be an important game for Phuket as they are currently only one place away from the relegation zone having not won a game in their last 10 matches. Unfortunately, it is clear from crowd attendance that fans are once again slowly losing patience, and interest, in the team, who after much hype from the management team at the start of the reason truly thought they would be contenders for promotion. Kick-off is at 6.30pm and tickets are priced at 100THB. There’s no doubt that one of the biggest questions being asked by those who are travelling to Phuket in the very near future is whether it is safe for them to do so. The answer to that question is a simple yes. However, that question is now usually followed by how does the curfew affect Phuket, and will it affect my holiday? 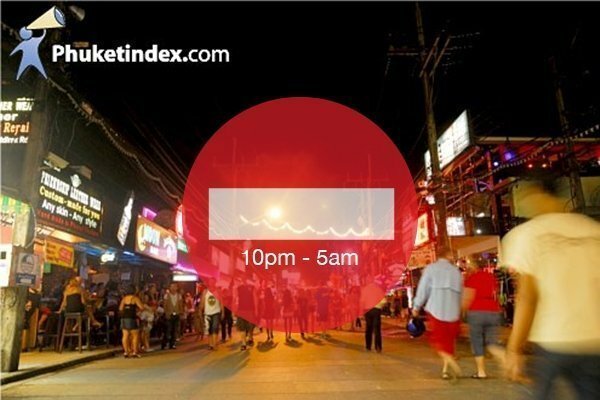 The answer to the first part of the question is also simple to answer, the curfew affects Phuket the same as all other areas of Thailand in that nobody can leave their house, or in the case of tourists, their resort or hotel between 10pm and 5am. The second part of the question however is slightly more difficult to answer as it all depends on the reason you’re travelling here. Yes, there are some who are travelling to areas such as Patong to enjoy the area’s nightlife, and unfortunately, at the time of writing, they’re going to be disappointed as the area’s bars, clubs and restaurants are forced to close as a result of the curfew. But for the others, who I truly believe are the majority, and are not travelling here to party, the curfew should not really affect them at all. You can still visit the beaches and attractions as usual, and just as safely as before. There are so many resorts on the island which offer full facilities, including bars, and in some cases, such as Angsana Laguna Phuket, an on-site beach club, and all these resorts are still operating as usual, and guests who book to stay in such resorts can rest assured that the curfew will have little or no affect on them whatsoever, and they will still be able to enjoy all that the resorts have to offer. I have witnessed a ten man football team win a game before, but I cannot remember ever seeing a ten man side score 3 goals to win a game. 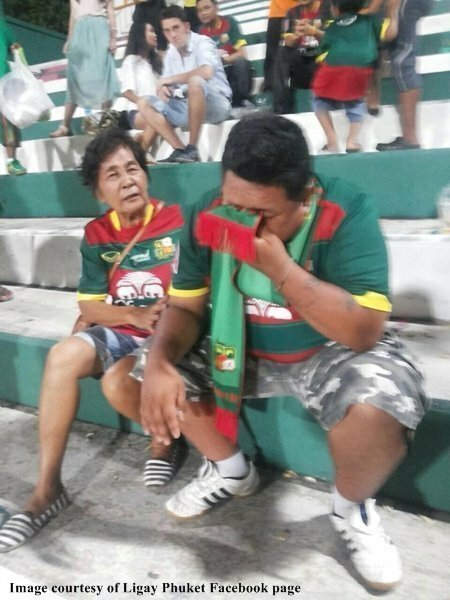 But that’s what was witnessed by just over 1,000 frustrated Phuket FC fans last night as they took on Ayuthaya in the 2nd round of the Thai FA Cup, which saw the visitors go home with a 3 – 4 victory, and one, perhaps more Phuket fans in tears. Yes, it was an exciting game, but what game that sees 7 goals wouldn’t be, but Ayuthaya, who were down to 10 men with 10 minutes remaining in the first half, played the remainder of the game like they still had 11 men on the pitch, whilst Phuket played like they had 9. 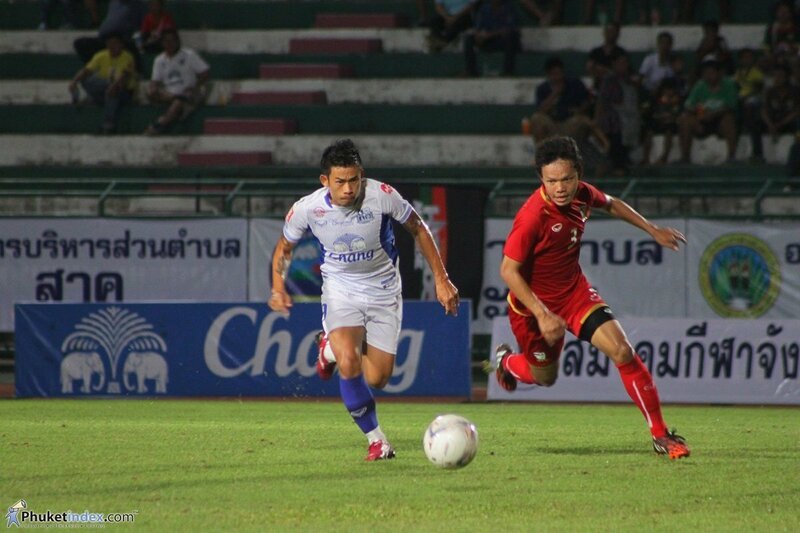 When a side goes down to 10 men so early, their opponents usually make them run for their money to drain their energy, Phuket didn’t, and they were the ones running for their money. 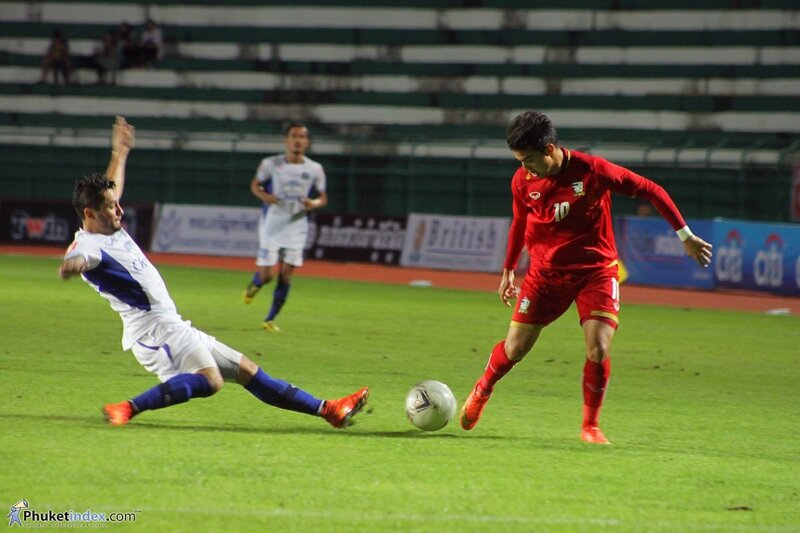 Once again, the presence of Phuket’s Japanese defender Sato was greatly missed, it was simple defensive mistakes, or should I say lack of defence that gave Ayuthaya their 4 scoring chances. And Coach Teco’s decision to replace Tales Dos Santos, the strongest Phuket defender on the pitch, with Christian Alex, a player who has done little or nothing to help his side to victory this season was seriously questionable, and done nothing for his team’s defensive strategy. The start of the season looked promising for Phuket FC, but unfortunately it appears that they are starting to go the same way as in previous seasons. But I for one certainly hope they can turn around their run of 2 lost games around this Saturday, 26th April, when they take on Nakhon Pathom in their 9th Yamaha Division 1 game of the season, a game they really need to win to keep them in contention for promotion to the Thai Premier league. Kick off is at 6.30pm at Surakul Stadium. 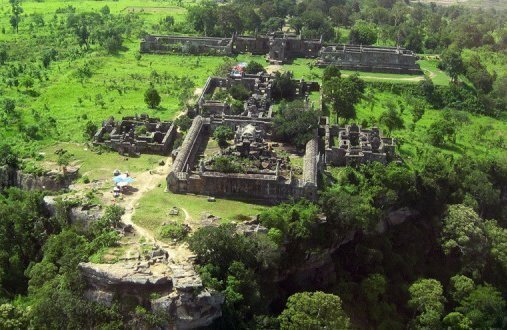 The International Court of Justice (ICJ) on Monday afternoon unanimously confirmed Phnom Penh’s sovereignty over the entire disputed promontory bearing the Preah Vihear temple on the Thai-Cambodia border. 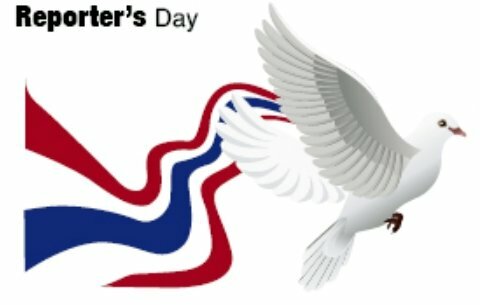 The United Nations’ highest court did not specify precisely how the area in the ruling maps onto that which is claimed by Cambodia, saying only that it should correspond with the natural promontory, and that the border line did not have to follow the watershed, as Thailand has argued. People of various sectors in Phuket, lawyers, business sector, public sector and students have commented on the decision of the court. Khun Chaiyos Panyawai – Attorney said “There is no point in disputing the ruling it will be of benefit to neither party, we should accept the decision. When a case goes to the World Court the decision they make is accepted all over the world and we should respect that. However, both sides still need to make an agreement on matters of mutual interest”. Phuket Opinion: Speed Cameras – For What Purpose? It has recently been announced that Phuket will soon see the introduction of the island’s very first speed cameras, albeit only four. I don’t think anybody can dispute that speed cameras are required here, and that there are hundreds of locations around the island that would benefit from them. However, one has to wonder the reason why they are being introduced. According to news reports their main purpose is to reduce road traffic accidents and increase awareness of speed limits. However, from reports in the UK, speed cameras are far more financially beneficial than for safety and many people now question their main purpose, and perhaps it would have been better for the person responsible for the statement to say that along with road safety they are actually for financial gain. I’m sure most drivers here have better things to do than hand over their money for speeding fines to municipalities to help fix a hole in the budget due to the mismanagement of funds. However, I personally think the introduction of speed cameras to Phuket plan aren’t such a bad thing. 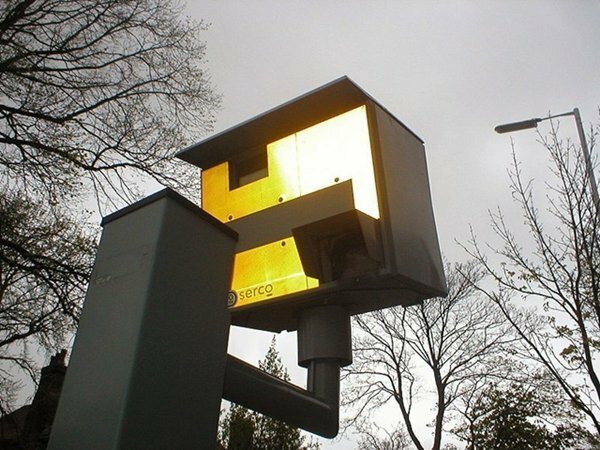 Putting aside the fact of how much money can be gained from the cameras, in 2008 in London alone speed camera fines worth 313,293,000 THB were collected, I actually think that these cameras can be beneficial to drivers in an urban setting like Phuket. If cameras are placed in densely populated areas, it makes sense to have them there. Keeping your vehicle moving at a constant speed is better for fuel economy and traffic jam reduction. If implemented properly, the cameras combined with the proper timing of traffic lights, could legitimately ease congestion and serve to move traffic along at a more consistent pace. Furthermore, if cameras are located near schools and public areas, they will actually make a positive impact on public safety. For most drivers, speeding from A to B is the best use of a driver’s time behind the wheel of a vehicle, but an urban location like Phuket is not the place for it. From the money raised from the cameras please introduce more and in addition also add red light cameras at traffic lights, I’m sure an equal amount of money will be made from these, and perhaps people will gradually learn to drive by the rules of law and the amount of road accidents and fatalities will soon reduce. It was 35 years ago that I first visited a small seaside city on the Costa Blanca in south-eastern Spain called Torrevieja. At that time it was pretty much unknown to European travellers but it was and still is a popular destination for Spanish city dwellers, who were attracted to the area by the supply of economically-priced houses and apartments. 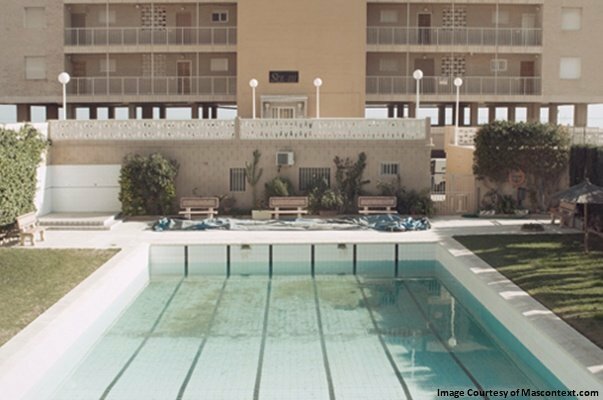 As the tourists coming to Torrevieja owned properties, it was never a hotel or resort destination and even today there are only 3 or 4 hotels to be found, each of which are located within the centre of town. To arrive in Torreviaja it’s about a 45KM journey from Alicante Airport, and 35 years ago it was a pleasant traffic free journey along a beautiful scenic route, with either side of the road boasting pure natural beauty. Outside of the town, which had always been heavily developed, the smaller towns were very rural, and the few houses in them belonged to those who worked or had businesses in main Torrevieja Town. 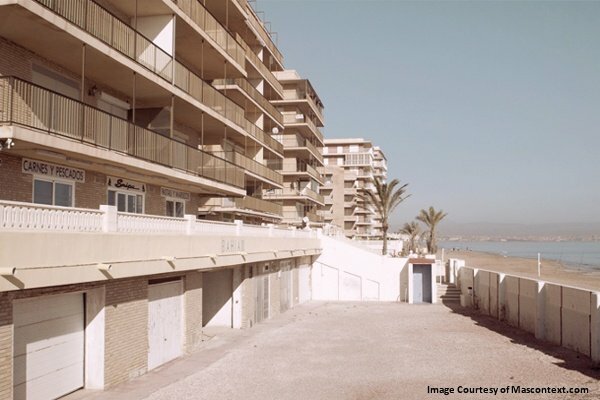 By the early/mid 1990s, a small number of European travellers had started to hear about Torrevieja and started to rent the Spanish homeowners properties. 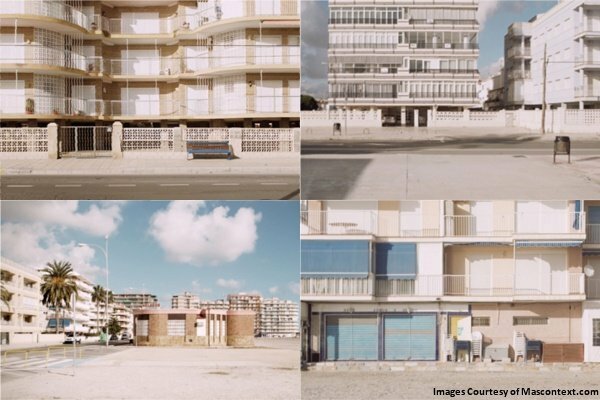 However, by the end of the 90s Torrevieja had become one of the world’s most popular budget tourist destinations, and this resulted in Torrevieja starting to see a runaway property boom and selling property to budget tourists became the most profitable game in town. The development of Torrevieja’s tourist industry quickly led to extensive areas of land being devoted entirely to mass tourism, and also an increase in demand for lodging, and this has led to once rural areas being developed into enormous “towns” with thousands of houses and flats massed together within a relatively small area. The always unnecessary hotels started to see business as large scale tour operators, who control international demand for the areas properties, began to use them for lodging visitors interested in purchasing property in a “package-deal” system. The once scenic journey from the airport also started to see development as the large and densely populated town centre, began to move inland. Torrevieja, which once had a stable population of about 9,200 inhabitants had jumped to more than 70,000 in 2001. Furthermore, the sheer intensity of urban development (over 90.000 dwellings, 75.000 of which were used exclusively as summer homes), and the related repercussions on employment and on increased demand for goods and services, made it a phenomenon that would constantly demand attention. Unfortunately, by 2005 Torrevieja started to see a decline in its tourism industry, Europeans didn’t accepted the change that was made to a once beautiful area and started to find alternative budget tourist destinations to visit. This also saw the start of the once needed holiday homes being resold to those not so familiar with the area. However, it did not see an end to the areas urban development and the now unnecessary urban planning continued. By 2008, Torrevieja’s tourism and property boom started to deteriorate rapidly, unemployment surged from 1,700 in 2005 to more than 5,000. Many of the newly built homes and re-sale homes couldn’t be sold, new developments were left unfinished as the developers started to go bust, and holiday trade was down by about 60 to 70%. Could this be Phuket in the future? 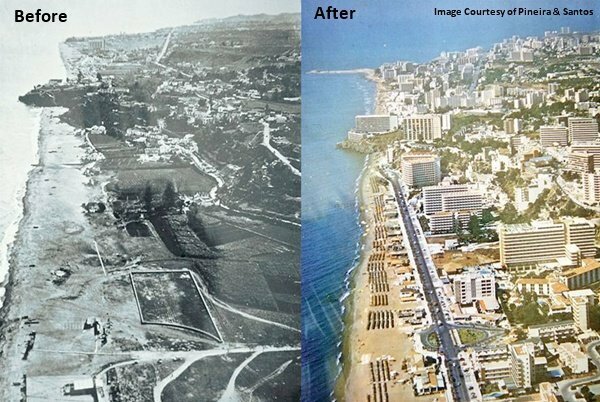 Today, what was once a pretty traditional Spanish town on the Costa Blanca, thanks to mindless urban planning has become one of the least attractive towns on the Spanish coast. Estate agents aren’t selling anything, retail sales are falling by 20 to 25%, local business are struggling as they wait for the arrival of the next busy tourism season, social problems such as crime are growing, and there is litter and graffiti everywhere. I didn’t visit Phuket 35 years ago but I did in 2000. Unfortunately, I have seen familiar changes here to those in Torrevieja. Although Phuket still has a thriving tourism industry, for a long time so did Torrevieja, but tourist destinations can change like the wind with new travel options becoming available year on year, what’s to say what happened in Spain won’t happen here? We have already seen a big swing in the tourist market and this new market is very different to that what Phuket enjoyed before. If Phuket does see a drop in tourism this will result in an increase in unemployment. As a large number of employees in Phuket come from various parts of Thailand, and a large number of those are likely to return to their home provinces, although this will not really see changes in numbers of unemployed registered in Phuket, it will certainly lead to more properties becoming unoccupied. Phuket is still seeing mass growth in real estate developments, but are they really necessary? There are numerous amounts of new and old shophouses lying empty and unkempt, but they are still building more, if people aren’t buying or renting units surely there is no requirement for them? There is also some unfinished developments, is this due to the units being unsold and unreliable developers running out of money? Were they being built on land that was not suitable for building? So who takes responsibility and says when the building work stops? If Phuket wants to know how not to develop a local economy, and how not to plan a town, they need look no further than Torrevieja. Opinion: Smartphones – How long can you leave yours? I for one am someone who appreciates advances in technology when and where it is needed. However, there is one advance in technology that is really starting to bug me, not because of its design, not because of its purpose, but simply how much people are using the things. Yes I’m talking about the world’s bestselling electrical device, the ‘Smartphone’. I’ve been the owner of a mobile phone, not the same on I hasten to add, since the early 1990’s when you simply used a mobile phone to make or receive a call. At this time, mobile phones weren’t permanently in the owners hand, people were still able to hold a conversation when at a dining table, they would use their phones when they needed to make or receive a call. I do actually think Smartphones are a good thing; they serve a very good purpose, however, what I don’t like is that people let them take over their lives. Couples go out for a meal, they no longer talk, they sit staring and tapping at a screen. Families sit at the dinner table, they no longer speak, they sit and staring and tapping a screen. Youngsters no longer want to read a book or go out to play, they are contented sitting staring and tapping at a screen I know it’s a bit of a cliché, but what has happened to the art of conversation, unfortunately, in my opinion Smartphones have killed it. I recently attended a special media function and I would honestly say that 60 or 70% of the attendees were on their Smartphones at least, and I say at least, 90% of the time. This was supposed to be a social evening of fun & conversation. There was none, this was killed by the Smartphones. For me, there s nothing more unfunny and unsociable than sitting with 200 people, more than half of which choose to have a smart phone as their partner for the evening. It was actually a good job for the photographers at the event that there was something happening away from the dining area , as I’m sure they wouldn’t have been happy to get back home or to their offices to find a they had a camera full of photos of people staring and tapping on the screens of their Smartphones. For those who are reading this article and are guilty of the above here’s something for you think about; recent research shows that exercising your thumbs by using your Smartphones could ultimately be harming your health. It has also been confirmed that there is such a thing as Smartphone addiction. Again, those who are reading this article and are guilty of the above are no different to drinkers, smokers or drug takers, they’re an addict. Think I’m talking nonsense? Don’t think you’re an addict? Try to leave your Smartphone at home for a day, even just a couple of hours if possible, and you’ll soon find out what a drinker , smoker or drug taker goes through when going into withdrawal. There are many people who can and do use Smartphones in a smart way — doing only what they need to do, and then putting the device away, can you be one of them, make me happy and give it a try. PS: For those interested I am not a Smartphone owner, and I have no intention of becoming one. Unfortunately, at this time of year in Phuket one of the main tourist related problems is drownings or near drownings. Recently, within the space of just a few days there were 4 drownings reported on beaches along the island’s most popular west coast in as many days, plus one drowning which has resulted in one person remaining in a coma in hospital. One media source also reported during this period that lifeguards pulled 100 people from the waters, a figure of which I can neither confirm nor deny, which if true is absolutely shocking. It is also unfortunate that when it comes to these drownings, and more importantly who should take responsibility for trying to prevent them, it appears that there is always someone else who should to take the responsibility rather than any of the involved sectors putting their hands up and saying yes perhaps we can do something to try to help the losses of life on our beaches. Who’s responsible and what can they do? At the end of the day, if everybody is so concerned about the rate of deaths here during monsoon season, everybody, and I mean everybody should take some kind of responsibility. 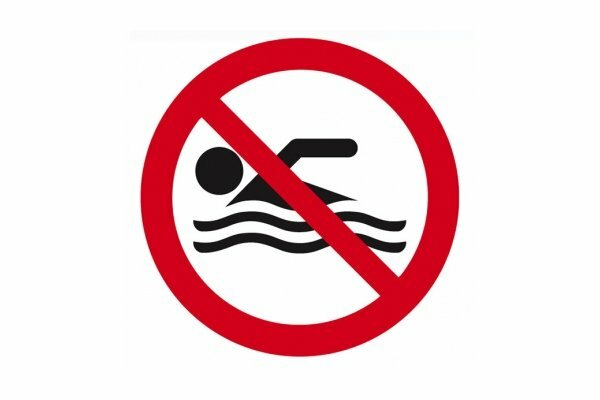 • Warnings could be added to travel brochures, in each country, advising that swimming in the sea at this time of year can be dangerous and people should adhere to the warnings on the beach. 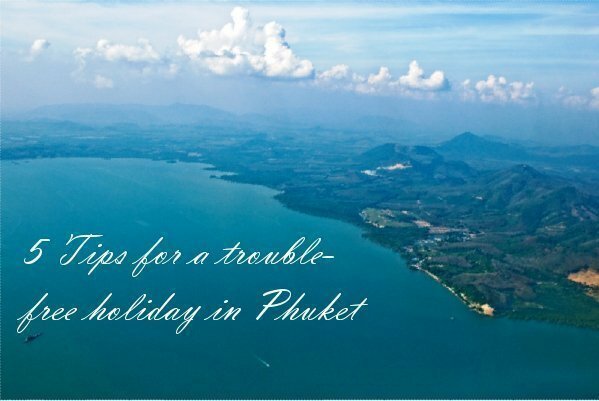 • Warnings could be added to websites selling holidays to Phuket advising people of the dangers. • Tour operators could advise those booking trips here of the sea conditions. • Flight operators could provide a spoken warning to their passengers once landing at Phuket airport. • Large noticeable warning signs should be placed in the airport at locations where it is necessary for all visitors to pass. • Perhaps some of the large bill boards that take pride of place at the road side en-route from the airport to the tourist destinations could be replaced with warnings; they are certainly big enough to be noticed. • Tour operators who pick up their guests from the airport should hand each of their guests a printed warning and repeat the spoken warning as provided on the flight. • Hotels and resorts could have a large sign in their lobby advising their guests of the dangers, they could also give guests a leaflet upon checking in. Furthermore, a warning video could also be added to hotel & resort in-house TV channels. • When it comes to the beaches, yes there are signs, in many different languages, advising people to take care. However, it may sometimes be possible that people don’t access the beach close to a sign; they’re not 10 feet or so apart, actually quite a bit further, so they may not get to see one. Yes the flags fly, but who are we to say who actually knows what the flags mean. This is where we can all take responsibility. If we, as kind hearted citizens, see somebody about to enter the sea and the red flags are flying try to warn them. If they’re a different nationality to your own and they don’t understand, which is a huge possibility, take them to a sign and show them. At least you’ve made the effort and have hopefully deterred somebody taking a risk with their lives. If all the above warnings were put in place, by the time a tourist arrived in their hotel room they would have received at least 5 warnings, if that isn’t enough to deter them then I don’t know what is. The above are all things that can be easily implemented and should save lives; it just takes those involved to take the initiative and start putting some of the warnings in place rather than just sitting in a meeting discussing it and not taking any action. It’s time for Phuket to start taking care of the people who come to visit this lovely island. Opinion: ASEAN – What does the future hold for Phuket’s Tourism Industry? Coming from the UK, I am fully aware of what the results can be of free movement of people within integrated areas such as the EU, and in the not so distant future ASEAN or AEC. Unfortunately for the UK, things weren’t thought out well enough and the goal posts were left way too far apart, resulting in thousands upon thousands of jobs being lost to immigrants who were allowed to travel freely to the UK and work. It is also unfortunate for the UK that they have left it far too late and the number of immigrants who have arrived in the UK is now way beyond what anyone could have expected. Furthermore, the immigrants not only took jobs, it was also homes, healthcare and a lot more. The UK has also seen a number of areas of the UK being not far from taken over, and in some cases over run by migrants from certain countries. I for one have seen this happen and I must admit that it’s not a very nice experience and it has had a great affect on the UK’s society, with some speaking freely about how they feel, and others possibly having the same feeling but not speaking out. Having looked into the AEC Blueprint it is clear the countries involved are aware of some of the problems that could arise, such as those the UK has faced since opening the floodgates for immigrants to arrive, and have not offered the same free movement of people option, such as that in the EU, but have restricted this to free movement of skilled labour within ASEAN countries. Furthermore, this free movement of skilled labours specifically focuses on eight professions those being doctors, dentists, nurses, engineers, architects, accountants, surveyors and the tourism industry. Although I do not believe that there will be an influx of workers within these categories that are going to have any effect whatsoever on Thailand, there is one area that does concern me, and it should possibly concern the areas of Thailand, such as Phuket, that rely so heavily their tourism industry, and also some of those westerners who are also involved in the industry here. An ASEAN Mutual Recognition Arrangement on Tourism Professionals (MRA – TP) has already been produced, and this provides a mechanism for agreement on the equivalence of tourism certification procedures and qualifications across ASEAN for the launch of the ASEAN Economic Community in 2015. 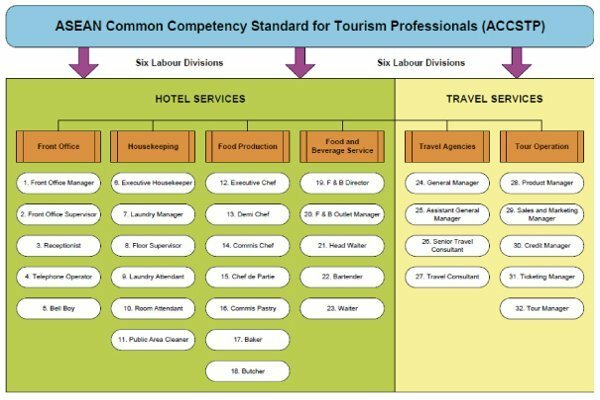 There are also 32 job titles in 6 categories specified in the Common ASEAN Tourism Curriculum (CATC), and these are shown in the images below. So what are my concerns? It’s not just as simple as people coming and taking Thai people’s jobs, it goes a little deeper than that, and please remember these are only my thoughts and many of you might not agree with me. Although foreign tourism professionals from other ASEAN countries will be eligible to work in Thailand if they possess a valid tourism competency certificate, meaning they have been trained to the same level as Thais, they are not Thai people. Many people who visit Thailand as a tourist, including myself when for many years previously I did visit as a tourist, do so for the Thai hospitality. In my opinion, although these foreign workers, many of whom will actually work in the lower paid jobs in the Hotel Services industry, may have been trained to the same standard as the Thai workers they will not have Thainess. For me Thainess is this little something that makes Thai people who they are and nobody in the world can replicate this. So if Thailand’s tourist come to enjoy the Thainess they know and love in 2015, or sometime after that, they could possibly come to hotels that also employing workers from the other countries within the ASEAN region who just cannot provide the little something that makes Thai people who they are and what they are loved for. As many people know there are a large number of westerners employed in hotels and resorts all around Thailand, most being in high-level positions. There are also a large number of people who can fit these roles that come from other countries from within ASEAN and whereby before those who could have filled a position from an ASEAN country may not have considered it, once AEC is live the chances are they possibly will. Once the AEC opens its doors this will bring increasing levels of high quality overseas competition to the market and in many cases lower cost bases. Finally, and this is possibly an issue which should be of most concern to officials here in Phuket. Foreign tourism professionals will be allowed to work within the Travel Services sector which covers Travel Agencies and Tour Operations. Now do I really have to spell out what the foreseeable problems could be? 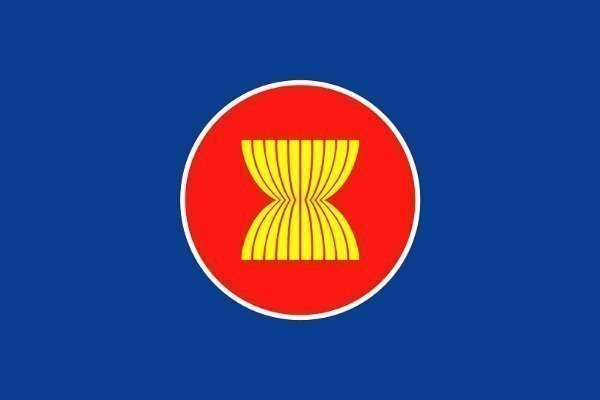 Are those currently involved in these industries here in Phuket aware that other workers from ASEAN countries will be able to freely and legally work in these industries? If they are not, I think somebody should explain the situation to them prior to 2015 or we could see a lot more protests than we have seen recently and possibly on a more dangerous scale. Phuket is one of the most interesting and easy going places in the world which is one of the main reasons it makes it such a popular tourist resort. Phuket is a fascinating island with plenty to see and do, the people are some of the friendliest in the world, the food is excellent and cheap, you have access to massive amounts of ancient and contemporary culture, the shopping is out of this world, and there is vast amounts of natural beauty with its deep jungles, rugged mountains, and warm inviting beaches. Furthermore, as tourism is Phuket’s biggest industry the island and its people are very hospitable to tourists. Before travelling anywhere it’s always best to learn a little about the where you’re travelling to, there are often certain cultural nuances to be aware of so as not to upset the locals and to ensure a more enjoyable time. Below are my tips, which you should read and follow to ensure you can enjoy a trouble-free holiday in Phuket. Phuket life is often a lot slower than most tourists’ home countries. If you come from somewhere where the lifestyle is fast-paced, try to be a little bit more patient, especially when visiting a restaurant where you may be use to being served in a more prompt manner. Relax and be patient, it’s your holiday!! Be polite and say thank you when appropriate, it’s amazing what difference a little khap khun khup can make to a waiter or street vendor. Even if you just learn to say ‘hello’ the locals will appreciate it. 3. Respect the Buddhist religion. You don’t have to be a spiritual person to understand the importance of being respectful of the local culture and beliefs. You can show your regard by abiding with rules when you visit a local Buddhist temple. These rules range from the simple removing of footwear inside holy premises to being on your best behavior during religious ceremonies. 4. Learn the rules of bargaining. If you don’t have a Thai friend to accompany you while shopping, here are some tips on how to bargain for the best deals in Phuket. A fair price to any item is somewhere below 30 or 20 percent of the original advertised cost. If you cannot speak the local language, you can always right down the price you want on a notepad. Some vendors can speak a little English, so you might be able to haggle with ease. Remain calm and polite during the whole process to avoid any disagreements. If problems do arise during your stay and you do need help, the best people to get help from are Phuket’s tourist police. They speak fluent English and are the ones responsible with anything tourist-related. Having recently had to take my partner to hospital for what at the time appeared to be quite a serious illness I’m glad to be able to advise you that there is a great alternative option for those who are not in a position to pay for one of the private hospitals located here on the island or are concerned about the waiting time at one of the unfortunately often overcrowded government run hospitals such as Vachira, located in Phuket Town. 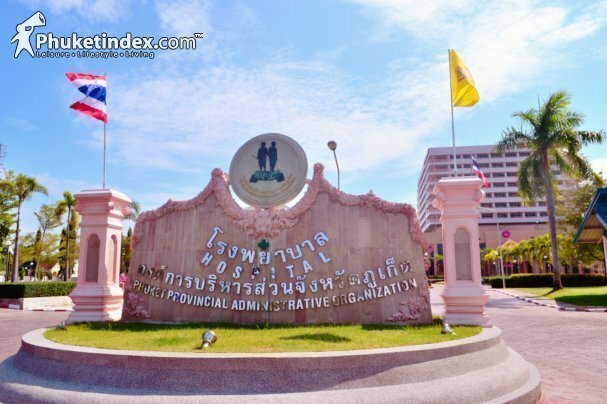 As my partner is not registered in Phuket and we have no medical insurance for her, we were advised by a friend of to visit the Phuket Provincial Hospital (PPH). 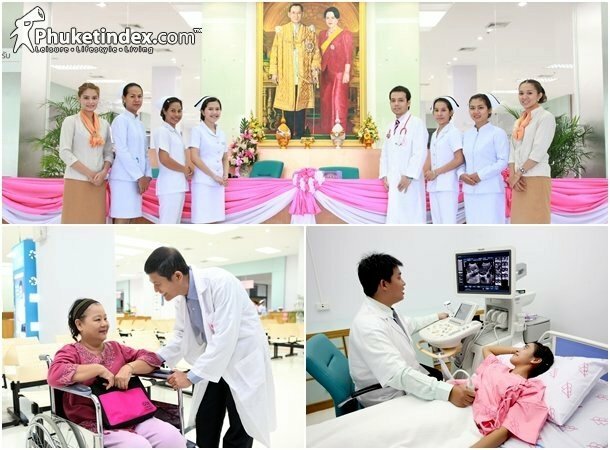 Prior to PPH being established it was often the case that Phuket’s government run hospitals did not have enough nurses to provide the patients with quality medical treatment, that patients with severe medical diagnosis had to wait long periods of time to receive treatment ,and some patients did not receive care due to a lack of beds being available. 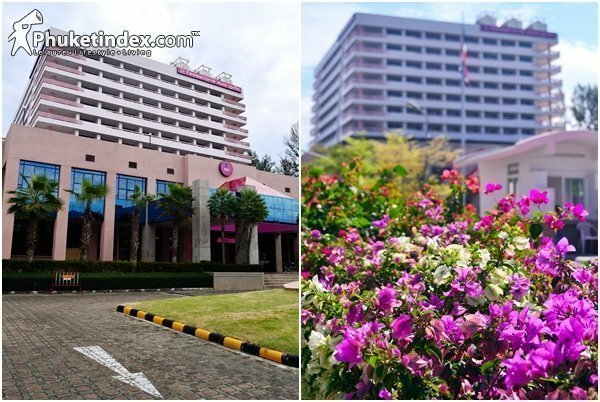 Therefore, PPH, located in the Taladyai District of Phuket Town, PPH was built to ensure that the public health sector in Phuket is provided with satisfactory high medical standards, efficient services, and most importantly to solve the medical problems suffered by the people of Phuket. It officially opened its doors on May 31st, 2011. To ensure that this happens, PPH joined together with an outsourcing company, Thonburi Hospital Public Company Limited, which has over 33 years experience in Hospital Administration and is responsible for managing 19 Hospitals nationwide. Today, PPH is a secondary care public treatment facility which offers the community a less expensive alternative to the often expensive Private Health Care, yet they provide the same quality of service as both the other government run and private hospitals here on the island. 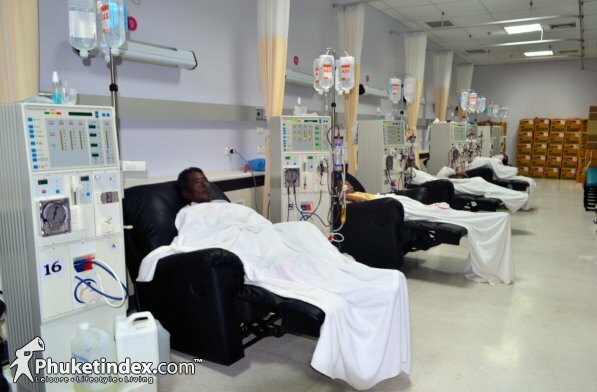 The hospital itself is 10 stories high and can currently accommodate up 129 in-patients, which can be increased to 190 if required, and it is capable of treating up to 300 patients per day. 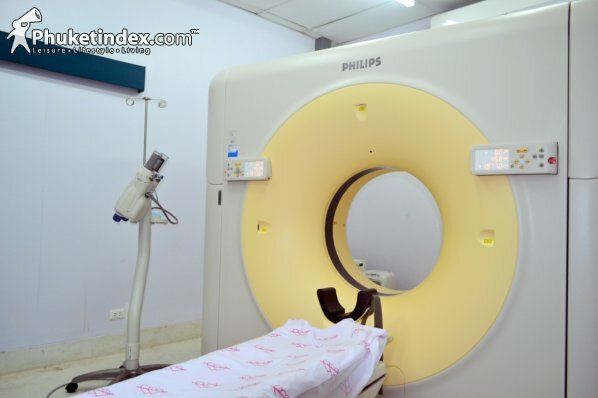 It offers cutting-edge diagnostics which are not often found in a community public hospital. I have to admit that after hearing some stories from others who had had to receive treatment from other government run hospitals, although not being overly shocking, I was slightly apprehensive about taking my partner to PPH. However, for the moment we arrived at the hospital, through to her being diagnosed and given her medication, the system and the quality of treatment she recieved were second to none. The hospital is clean and not over crowded the staff friendly and polite and the icing on the cake is that the cost is only a fraction of what you would likely to pay anywhere else.